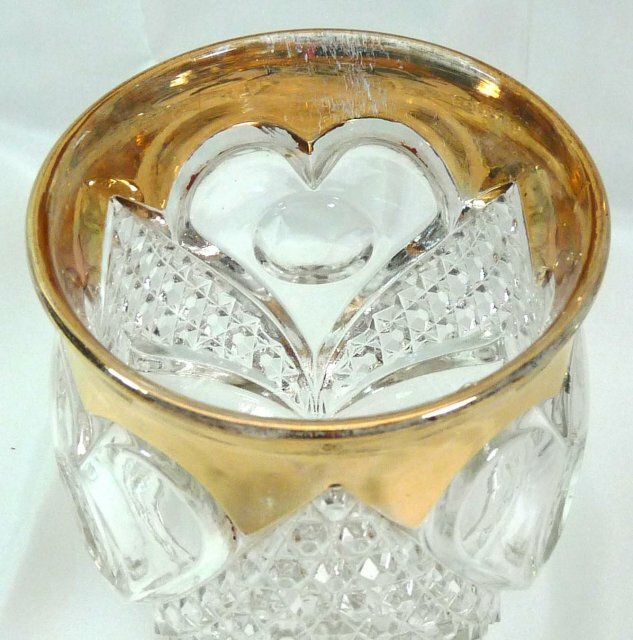 A gorgeous EAPG goblet in the Heart With Thumbprint pattern with gold trim. Made by Tarentum in 1898. This pattern has no known reproductions and the is also known by the names Tarentum's Hartford, Columbian, Columbia and Bull's Eye In Heart. 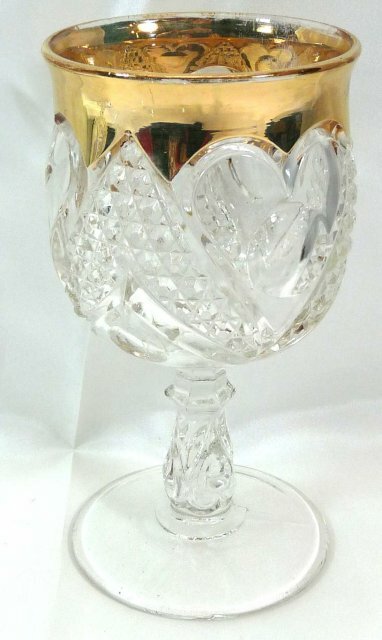 Goblet measures 6" tall. It has some minor rubbing / loss on the gold trim. 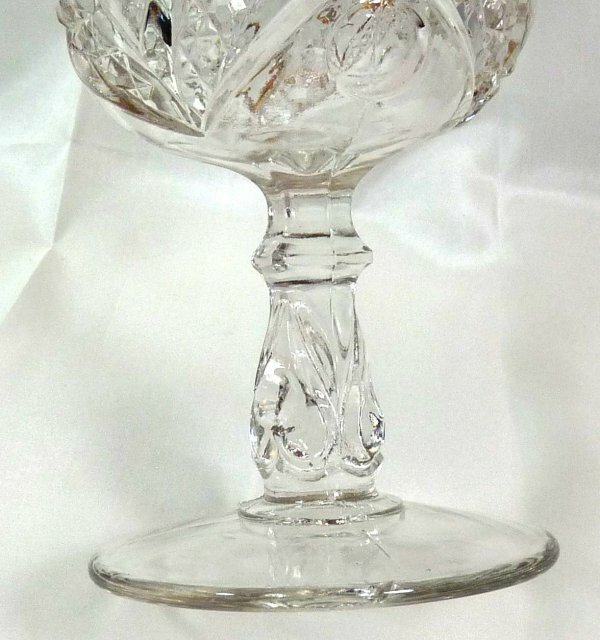 This beautiful Early American Pattern Glass goblet is sparkling clear and has no chips or cracks. 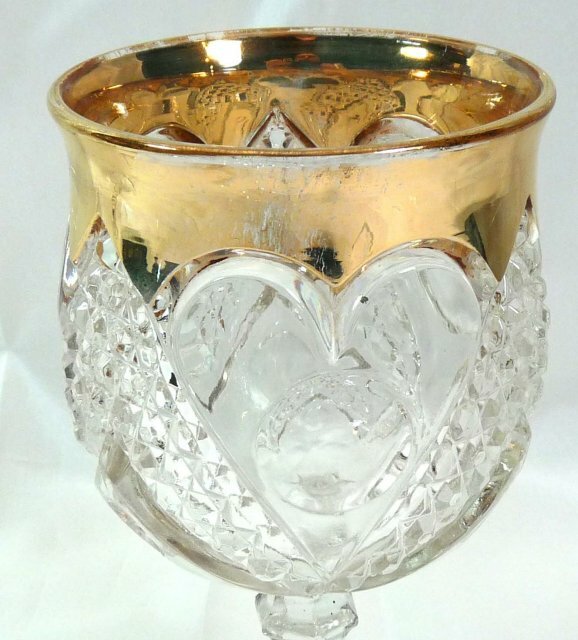 Items Similar To "EAPG HEART WITH THUMBPRINT Goblet w/ Gold Trim"